Oceans and time zones don’t mean a thing for globetrotting friends. 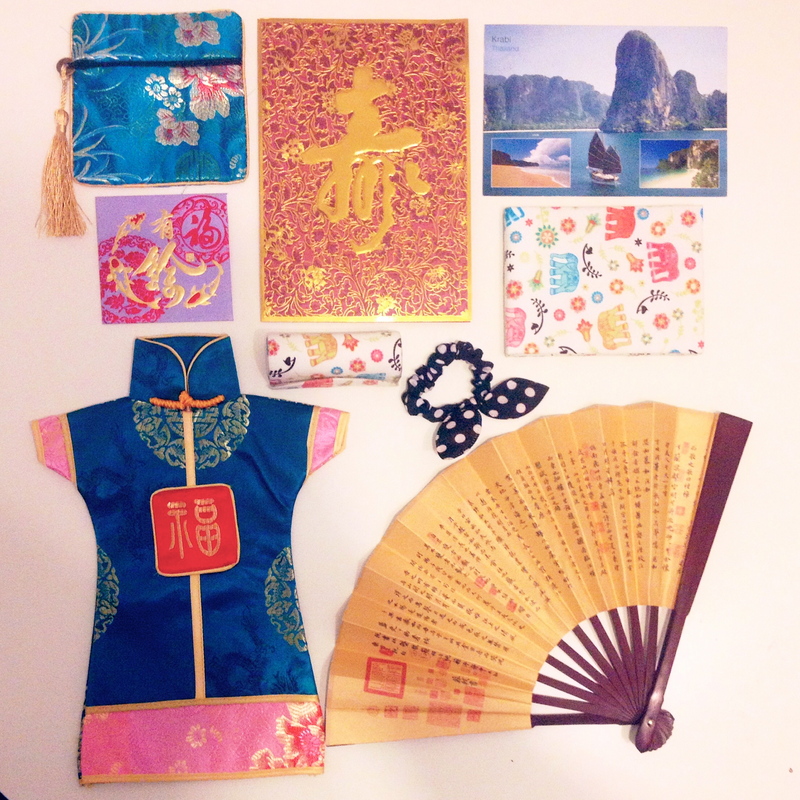 I came home today to find a package that my dear friend sent me as an early birthday gift: items collected through her Asian adventures. She send me a lovely postcard from Thailand, a sweet birthday card in which she wrote “Happy Birthday” in Cantonese, an elephant lipstick holder and an elephant compact mirror from Thailand, a polkadot hair tie, a wine bottle cover (she knows me so well), a Chinese coin purse and a Chinese paper fan from Hong Kong. But certainly the highlight of the package was this hilarious notebook. 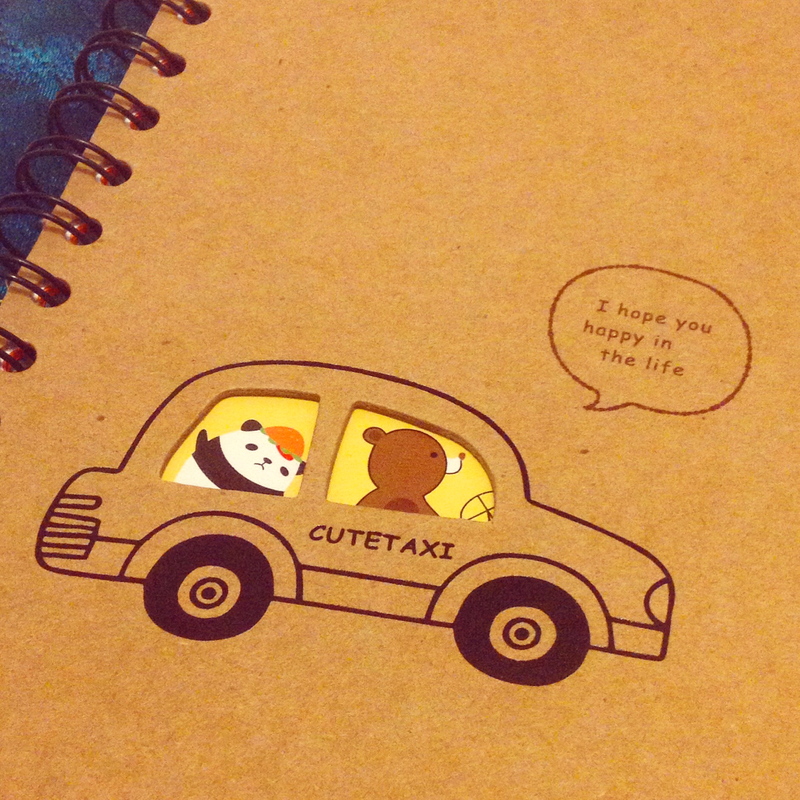 It has a taxi-driving bear giving grammatically incorrect life advice to a sad panda wearing a hamburger hat. I dunno what the story is here but anyone wearing a hamburger hat should never be sad.